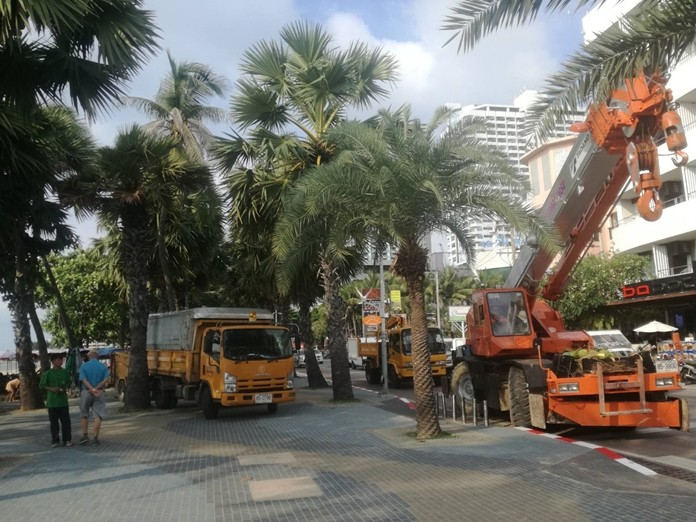 PATTAYA:--Decorative lights are being installed on Central Pattaya Road, Beach Road and 3rd Road as part of Pattaya City’s preparation for the upcoming royal coronation. The International Fireworks Festival also will return May 24-25 as part of the celebration. The Chonburi Tourist Attraction Association, chaired by their president, Thitipat Siranatsrikul, met April 9, to discuss these and other upcoming events, including the 2019 Pattaya Travel Mart on May 24, at Ban Sukawadee, and the 2nd painting contest where artists are invited to submit their works under the theme, “attracting Chonburi”, from May 1 to Aug 1. No mention was made about where to submit, but more information might be available by contacting city hall. I hope they put the sand back on the Beach then I can enjoy the fireworks. It was like being sat at the dump last year. Beautifying!! Looks to me like papering over the cracks once again. Do they honestly think a few decorative lights will detract from all the litter and traffic congestion etc etc? Sort of like putting lipstick on a pig. Pattaya is what it is. Best to take pics in Pattaya at night lol. Or cover up the smells from the drains as you pass them ? Well that isn't exactly unusual is it? Some way over the top derogatory remarks have been removed. how about doing up the effin pavements?? And all taxis will be fitted with meters... oh. Thankfully, prostitution doesn't exist in Pattaya.